Discussion in 'Community Forum' started by 1wildcatfan, Feb 2, 2019. Heat pumps stink , they don't work efficiently below 30 even the newer ones.. mine runs for 20 min sometimes longer if it's real cold, shuts off for 5 then back on, part of my issue is my modular home has 2x4 ext walls, if I had ordered it it would have had 6" ext walls , the home was here when we bought the farm .. We just put a whole new Reem system in this summer.. The plan is to live in it a while then build. Ok off track heat pumps are just not great the way they are designed and function is not conducive to real cold temps. I would much prefer a gas furnace preferably natural gas, but in the country it's gonna be propane. Mine is definitely not running as much today, I keep the temp at 68. Be glad you are not in the NE where most homes have fuel oil fired boilers and forced hot water baseboard heat, talk about inefficient and expensive.. The four winters we spent up in NH we spent an avg of $1000 a month just on oil from Nov thru March. our t-stats stay set at 68. 62 downstairs now. my trane 16's are 5 yrs old. afraid the meter is going to blow up. while i complain now, my annual avg electric bill is $225/mth. not bad compared to some neighbors that have $500-$600 monthly bills. Ours has avg $150 the last three months guess I shouldn't complain. It's 78 in the house right now had to open the door and bit to cool off . Can't beat a little blood and sweat knocking down a few oak and hickory trees to keep you warm come next year. Regulator623, barney and drakeshooter like this. We had our choice between a heat pump and a electric heat unit when we built this house. I told the contractor no way in heck we would go with a heat pump. Like said they are not good at all below 30 deg. I did a lot of research on both. No natural gas lines available so either propane or electric. 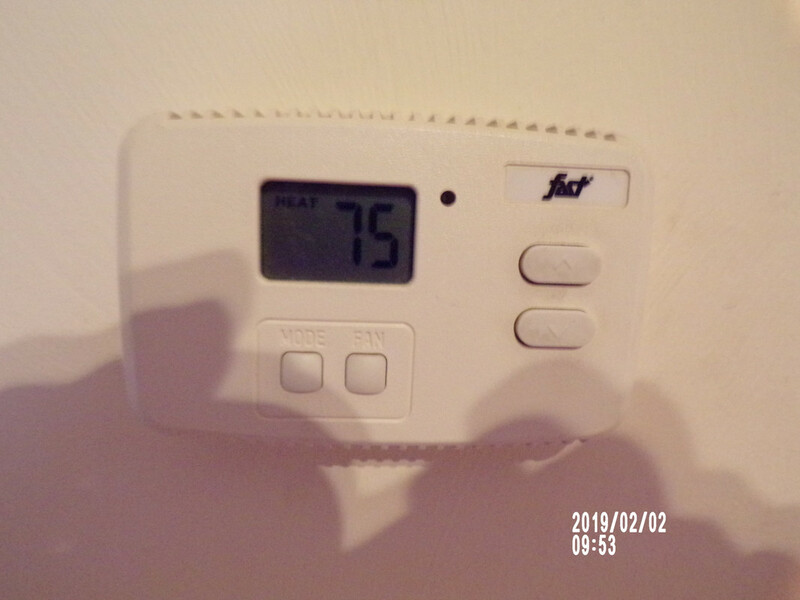 The electric cost for heat was up there but once we install the pellet stove it went from the 4 to 5 hundred range a month for electric down to 125.00 to 150.00 range. We have about 12 bags of pellets left out of 100 now. I may have to buy another 25 bags or so depending on how long cool weather holds on. That is keeping the house at 74 + deg since Oct. At $ 165 for 50 bags I think we are doing well. Ojibwa they make pellet stove units that work in your type home. They require a outside fresh air intake but one came with my stove. Just have to run a pipe thru a outside wall. Along with a smoke vent pipe. Might want to look into that if you plan to live in the same home for very long. IDK if he is still around but there used to be a member here from over your way that worked in a factory that made pellets and he offered me all I wanted at wholesale prices but the expense of travel over that far pulling a trailer with my gas loving truck for just a couple / three ton outweighed the extra few $ I had to pay local. Mine have kicked off today. I have two units as well. They ran constantly the last 3-4 days with me only having the high at 71 downstairs. I’d say they’ll gouge me big time on the next bill. Most of the year my bills aren’t that bad. During the summer we keep it nice and chilly. Maybe this is a dumb question, but why is heat so much more than air? Our run constantly during the summer too but some bills aren’t bad at all. Usually less than $120. A few winters ago when we had like two weeks in a row of really cold weather I had a bill hit $500. You are running open short heat coils rather than a compressor for the air with any type electric heat. Think of what your cooling bill would be if you had to run a direct line to the cooling gas and it came from a outside source rather than it being held in one spot. I have a high efficiency propane furnace downstairs, heat pump upstairs. We only use the ac side of the heat pump in the summer, sometimes I turn it on to see if its ok but never leave it on in the winter. The reason being we have a wood burning stove that basically heats the whole house. Saves a lot of propane which ain't cheap either. I would die in that kind of heat. Miserable. xbokilla and 1wildcatfan like this. No you do NOT smell the smoke inside unless you don't have the vent pipe sealed or open the door before cooling down for cleanup. And there is still some glowing embers in the firebox. You can melt the plastic hose to the ash vac if you still have hot embers on cleanout...Don't ask how I know...LOL.